The show runs from February 9th – February 14. Opening reception is Thursday,February 9 from 5-9. 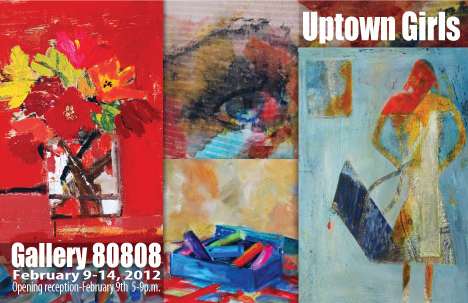 Four Artists from the Studios in the Arcade on Main Street will show their work at Gallery 80808 in a show entitled UPTOWN GIRLS. The show features work by Page Morris,Jan Swanson,Suzy Shealy,and Beth West. Show hours are 10 – 5 Monday- Saturday and 1-5 on Sunday. For more information,please call Jan Swanson at 803-360-6794.